Manage “the gap” between cab and trailer or between tandem trailers for improved fuel efficiency. This technology works efficiently by itself or in conjunction with other Aero Systems. Click here to learn more about this aerodynamic system. Our engineers get all their best ideas from studying the aerodynamics from racing cars and airplanes. We’ve carried the same technology over to make your trailers more aerodynamic. Reducing drag significantly reduces a truck’s fuel consumption which is better for the environment and better for your bottom line. That’s an investment that we can all get behind. Our LeadEdge System can improve fuel economy by as much as 1-3% or more. Saving on fuel simply adds to bottom line, and that’s just good business. We design and build all of our aerodynamic systems to be durable enough to stand up to normal highway conditions. When you invest, you are making an investment that will last a lifetime. The LeadEdge System has no moving parts, and there’s nothing required from the drivers. Plus, there’s no regular maintenance required after installation. Our components do not obstruct vision in any way. 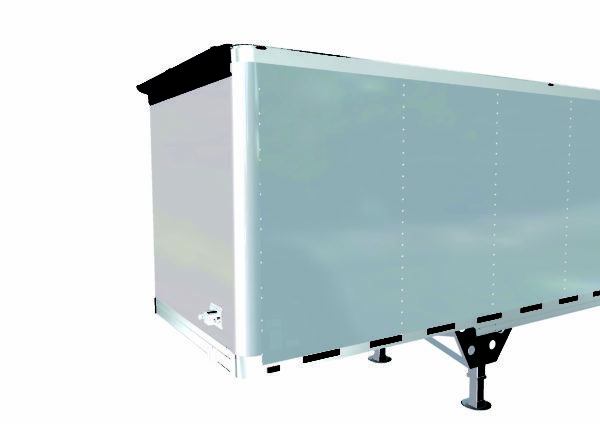 Our LeadEdge systems have sleek, cutting-edge designs that look good on your trailer and come in variety of great looking colors. We proudly stand behind every product we make, and demonstrate that pride through the durability and performance of our products mile after highway mile. The Limited Lifetime Warranty even protects your investment when a component is transferred from one of your trailers to another.